This wall-mounted magnetic support is ideal for keeping your knives close at hand when cooking. 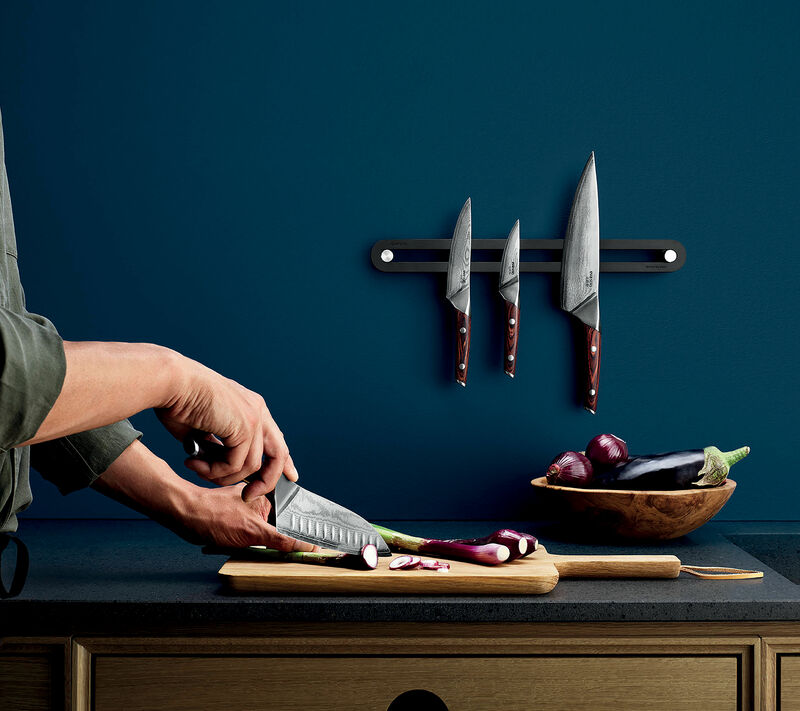 A practical and attractive storage solution! 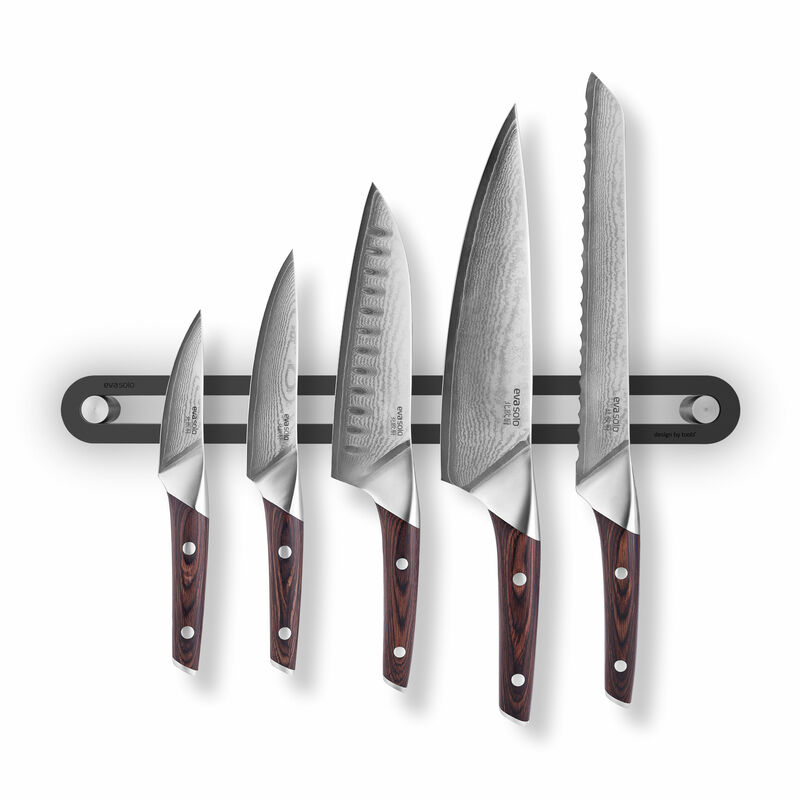 Your knives will also stay sharp longer than if stored in a drawer. 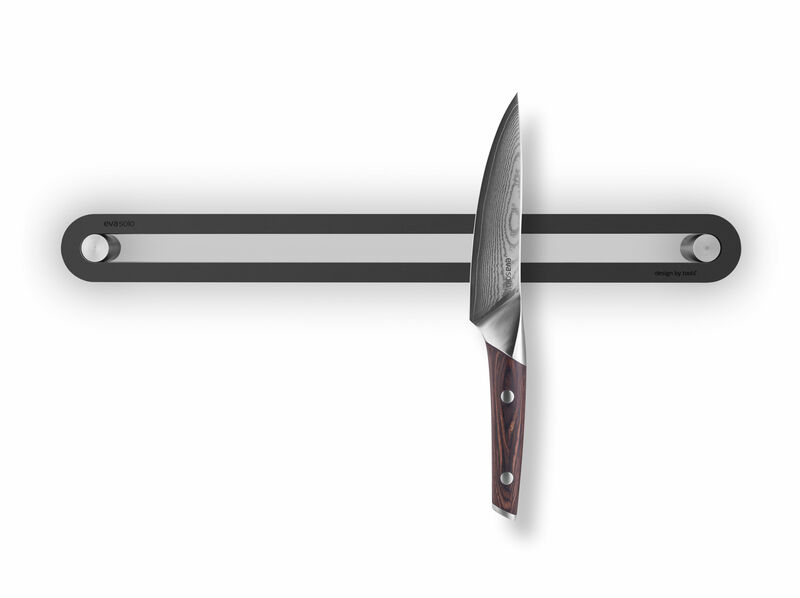 Its ultra-powerful magnet will ensure your knives remain firmly fixed to the wall. 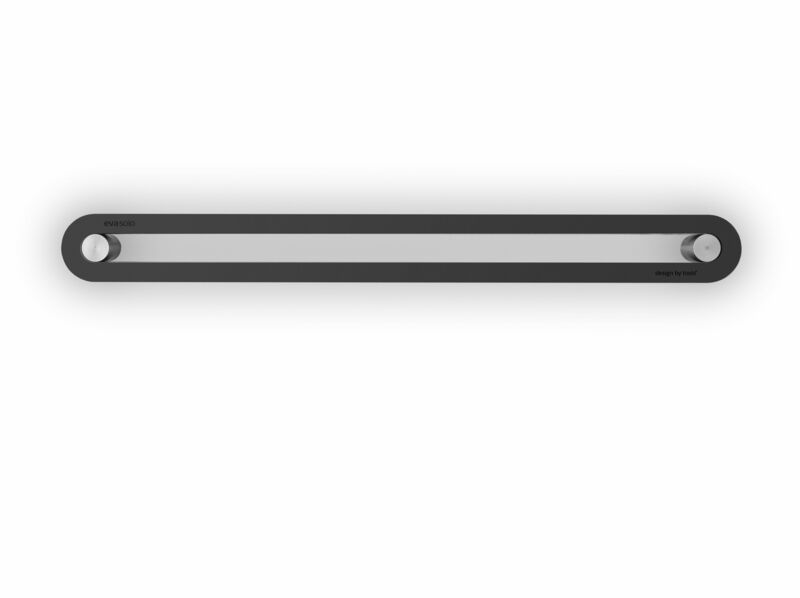 The very elegant steel support is covered with black rubber, a soft material that will not damage the knives’ blades.